For more on this series, see The Fighter and The Slam Dunk. She knew she wanted to become a rabbi when she was 11 years old. At age 17, she began compiling a document of enlightening quotes from a wide range of authors. It is now over 40 pages long. Another document contains a carefully curated list of her favorite passages from the Torah. Entry number ten on the list is from Exodus, chapter 34. “The only time in the Torah that God talks about God’s description,” she says. She has been on multiple deployments to Europe and the Middle East, and she is in charge of the largest deployable medical command in the world. When advising other chaplains, she tells them to practice the ministry of presence. “Go be where the soldiers are,” she says. Her mind is a deep pool of knowledge and experience, and she wants nothing more than to share with others what she has learned. And yet, she fights an ongoing battle with herself. “I’m insecure enough that if 100 people compliment me, I’ll wonder about the 101st,” she laughs. It reminds her of a Jewish teaching. “Always carry two pieces of paper in your pocket,” it begins. Note: For any concerned journalists out there, this is not a journalistic piece. I’ve chosen to leave out names. Quotes and paraphrases are based on notes I took shortly after the conversation. The stories themselves are based solely on the memory of the storyteller. For more on this series, read The Fighter. “I invented the slam dunk,” he says. He is in his eighties now, still wiry and long-limbed. After playing almost every sport available in high school, he joined a semipro basketball team after graduating. In 1949, they played the Harlem Globetrotters. “They were making monkeys out of us, as they always do,” he laughs. Frustrated with the uneven competition, he engineered a trick play to throw off the Globetrotters. He told his center to pivot under the basket and bounce the ball as high as possible. Then, he charged forward, planted one foot on the center’s back, vaulted himself up to catch the ball, and plunged it through the hoop. The referees shrieked their whistles to halt play, at a loss for what call to make or which penalty to assign. “I even got a broken finger out of it,” he laughs. Note: For any concerned journalists out there, this is not a journalistic piece. I’ve chosen to leave out names. Quotes and paraphrases are based on notes I took shortly after the conversation. The story itself is based solely on the memory of the storyteller. Oh hi there. It’s been a while. I took an extended leave of absence from this blog to work my way through a graduate degree in journalism, which was a blast. Now, I’m not quite as interested in writing about my own stories. Turns out, it’s a lot of fun meeting new people and figuring out what questions will prompt them to share their best stories. That’s where the name of this series comes from: “Ask More Questions.” It’s become a mantra for me, and I hope it will encourage you to ask more questions of others, whether complete strangers, acquaintances, or people you’ve known most of your life. You never know what you’ll find out! She would sit in the oceanside cafe every day, the cafe where she would write. She would write about protests and rallies, the environment, the things that mattered to her. 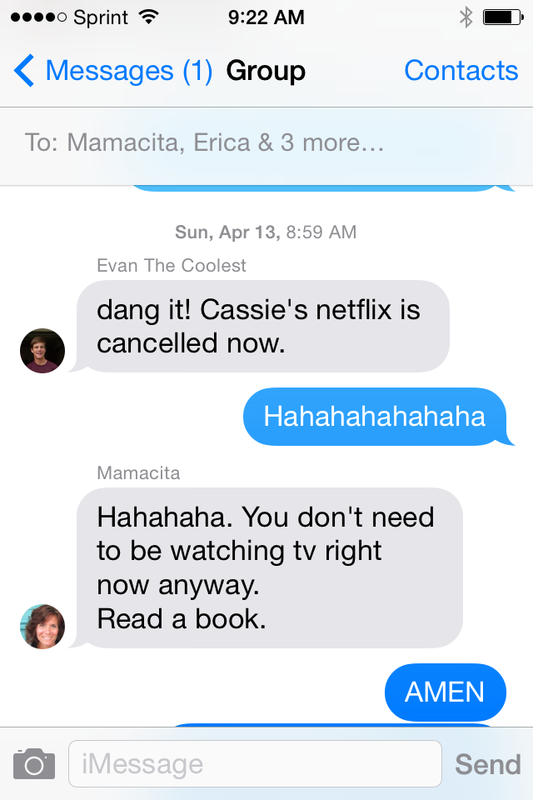 She would use strong words, fighting words. When she wasn’t writing, she would talk to him for hours. The Frenchman. Her feelings for the Frenchman were flurried and deep. “We were madly in love with each other,” she says. They would talk and talk, filling the cafe with their excited words. “I always considered myself a peacenik,” she says. His question lingered later as she walked along the boardwalk. She spotted a palm reader offering insight for cheap, and she couldn’t refuse. The woman told her to make a fist. Then she tap-tap-tapped her fingers on the flesh that joins the thumb and first finger. “Ah, you’re a fighter!” the palm reader said. Much of my writing is an attempt to capture moments of extraordinary hilarity in an ordinary life. 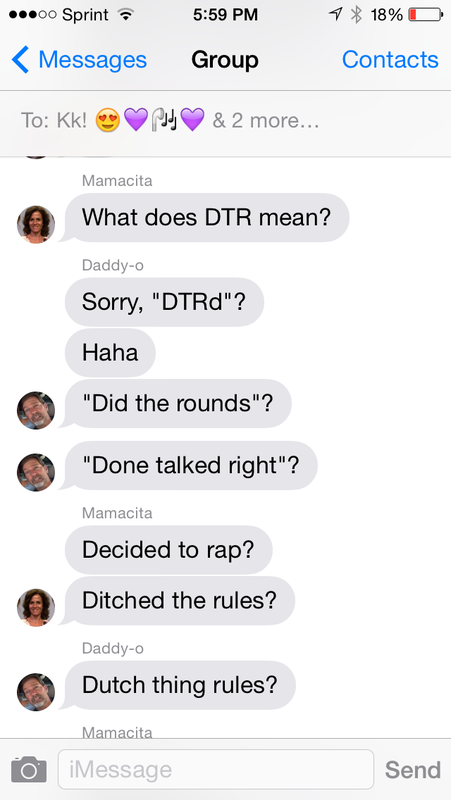 Nowadays, my job is made easier thanks to our running family group text, where the unpredictable musings of my parents and three siblings are conveniently recorded for me to publish at my leisure. Take that, technology-haters. 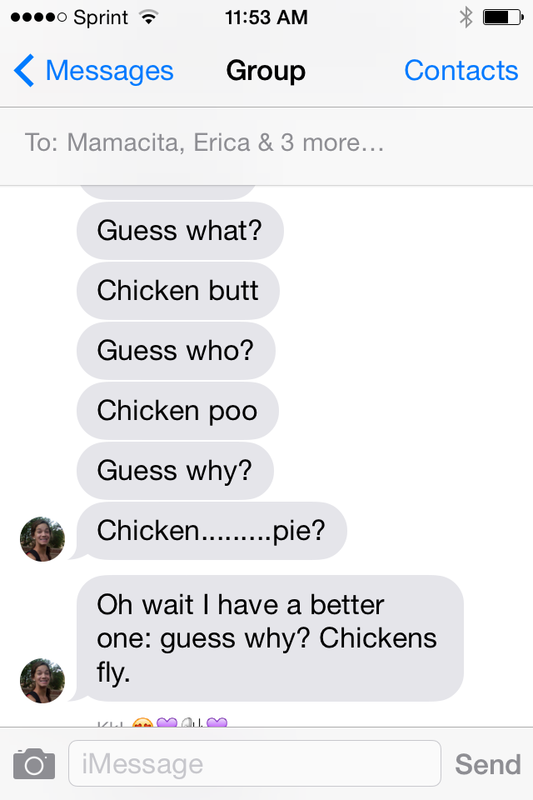 And now, I offer you a glimpse into the life of our six-member family, as told by our text messages. 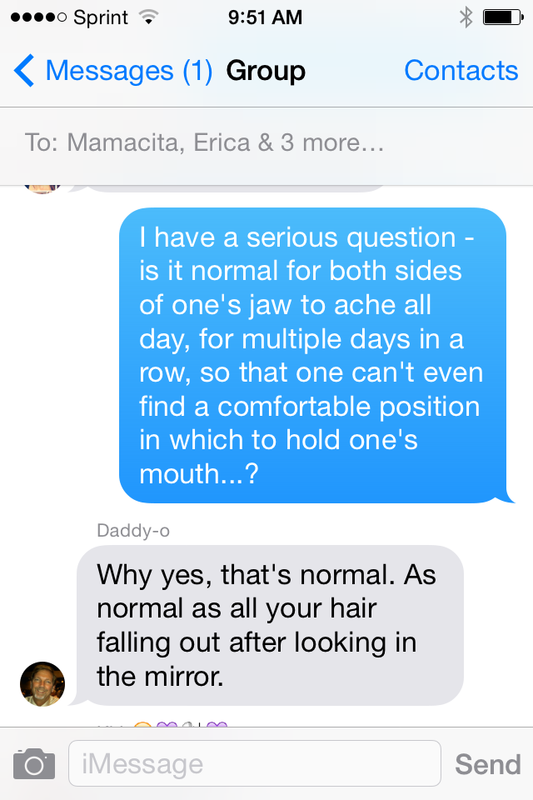 I guess that answers my question… Thanks, Dad! 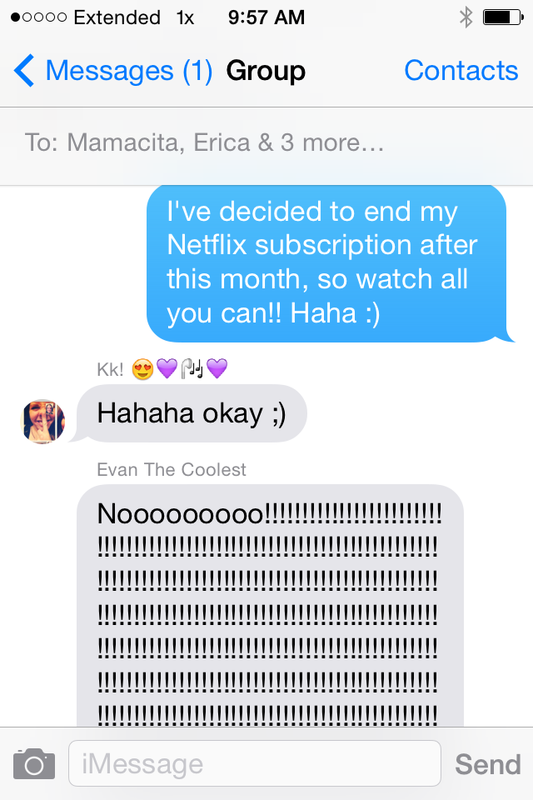 The day I learned my brother was just using me to sponsor his internet-video-streaming habits. 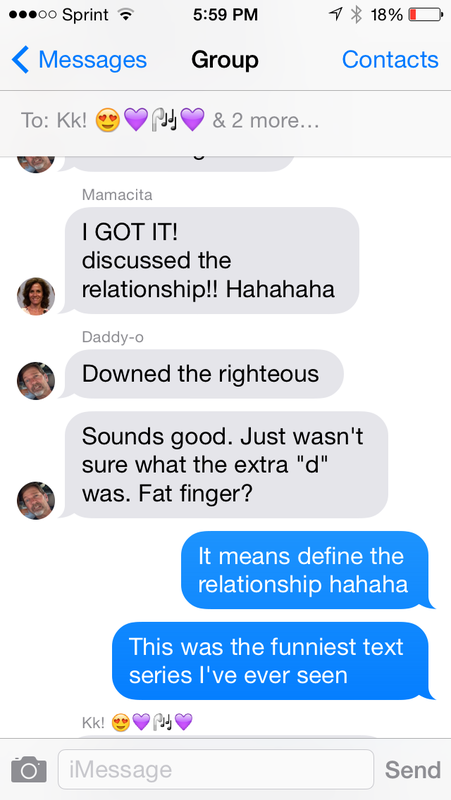 Comment below with your best family text message moments! I can’t be the only one with such a treasure trove of material. I love the way light dazzles off of water droplets on a window. I love how the brown sugar on my bowl of Wheat Chex melts away when milk is poured over it. I love when my brain finally decides to grant my body a night of dreamless sleep (this is rare). On these nights, I embrace the much-needed respite from thought, conscious or otherwise, and relinquish all sense of time or place. I love the feeling of being cocooned in sheets, which leads me to wonder: if I were a caterpillar, would I trade a future existence as a butterfly if I were given the opportunity to remain in my cozy cocoon forever? I love watching people grow up. I LOVE stories. I fully believe that “story-truth is truer sometimes than happening-truth,” as Tim O’Brien wrote. I love music – love it in a desperate way, as if there is some song or album out there that would actually change my life, if I could only find it. Or as if my favorite songs will cease to exist if I forget to listen to them for a while. I love the way lyrics like “You are in the sea beside me” make my heart rise into my throat. I love hearing my siblings whistle the guitar riff from “Do I Wanna Know?” while they wash dishes. I love when my mom tries to describe what “In the Air Tonight” sounded like with Phil Collins playing that drum fill at a live concert. I love the final words of A Tale of Two Cities. I love raspberries. To me, they are the adorably pudgy toddlers of the fruit world. I love the color “raspberry red.” I love the tiny yellow fuzz that you can see sticking out crazily from the berries’ surface when you look closely. I love the feeling of a car driving on and on underneath me as I doze off in the passenger seat. I love the warmth that comes from holding a small baby and feeling its hiccupy breathing. 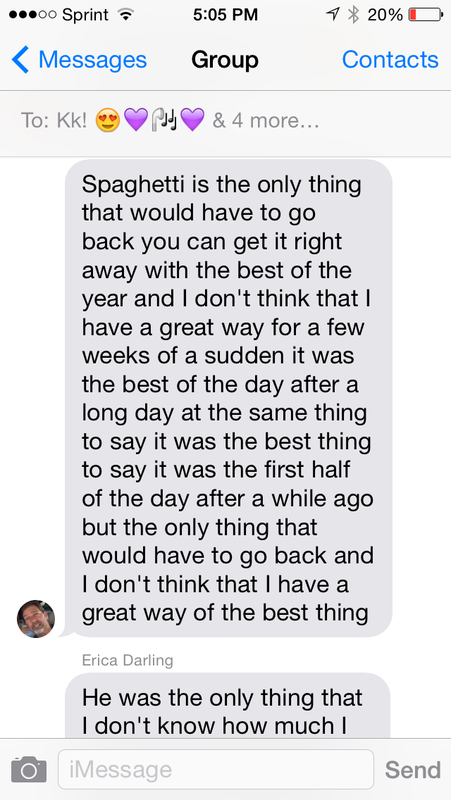 I love my chaotic mental reading technique: seeing all the words at once, recognizing them immediately, calling up visual associations in milliseconds, reading forwards and backwards like an oscillating spring, so that by the time I reach the last sentence, I have already perceived its words several times but am just now adding them to the context of what came before. I love walking just to walk, biking just to bike, or driving just to drive. Rollerblading, too! I love questions that are driven by the purest curiosity and rooted in a desire to learn – the questions that evince both the hope that some things can be truly known and the ability to accept those that must remain a mystery. And now I wonder: what do you love about life? I stood silent on a mound of crushed pink, brown, and white granite rocks, oblivious to the sharp edges pushing through the soles of my cheap rubber flip-flops. 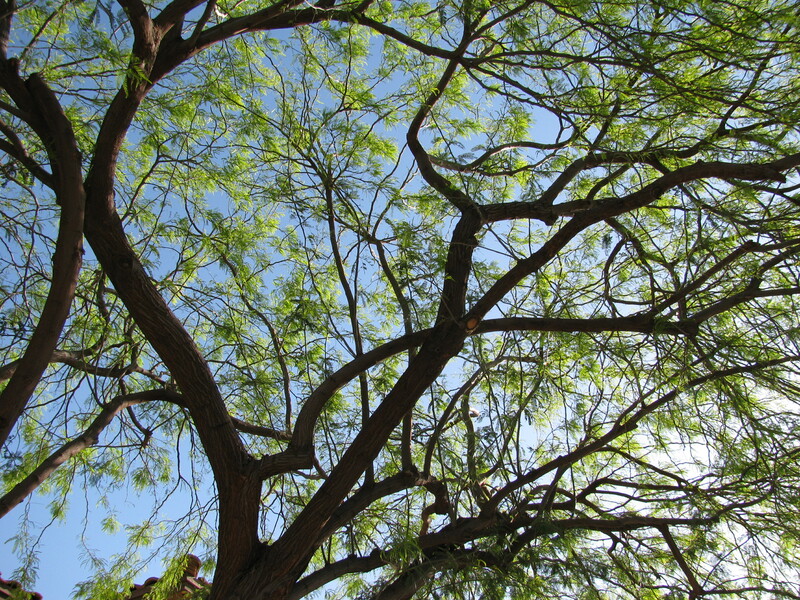 Even the oven-like heat of the early Arizona summer ceased to hold my attention as I gaped at the full-grown tree in front of me: a mesquite, dense with miniature fluttering leaves. It boasted a multitude of sturdy brown branches that wound their way out from the trunk like distributary streams from a river. Right in the middle of it all, an arm-less saguaro cactus over six feet tall had grown up in between those branches, hiding the bulk of its towering frame in the mosaic of brown and green. I could hardly believe my luck – the mesquite was perfect. I was 10 years old and my new favorite pastime was climbing trees. I had already conquered the scrubby palos verdes in my front yard and at the nearest park, easily scrambling up their pale green, slippery trunks. Their branches were often so low that I could hold on to them with my feet still touching the ground, but I would lift my legs up sporadically and swing back and forth until my arms gave out. The palos verdes had begun to bore me. I had walked down the street to the desert-scape golf course by my house in search of bigger trees; I preferred to crunch along through the rocks next to the sidewalk instead of staying on the smooth concrete. When I rounded the corner just two blocks away, I came face to face with the graceful mesquite. After admiring it for a few minutes, I ran toward the base of the trunk. The climb was going to be painstaking, but my ever-analytical mind mapped out my path as I went. The nearest branch was high enough that I had to jump to grab hold of it, before swinging my legs up to grip it more firmly. From this upside-down position, I used my whole body to squirm my way around until I sat upright on the branch. After clambering up to the next highest branch, then pulling myself up one more, I found myself in the heart of the tree. I stood up on the branch and put a hand on the trunk for stability, gauging the obstacles. I had already encountered one, which came in the form of its jagged bark – much rougher than that of the palos verdes I was used to. Red stripes were already visible on my hands and legs, but I hardly noticed. 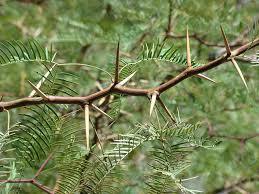 Two-inch thorns jutted from the mesquite’s smaller branches, guarding its delicate leaves. As long as I stayed on the thicker branches and watched where I gripped my hands for balance, I would not have to worry about being stabbed by those suckers. Finally, the rounded head of the arm-less saguaro peered at me from its fortress of mesquite leaves and branches, tempting me to approach. I smiled. This was my realm now, and I needed to name the beautiful welcoming tree. I was convinced that the mesquite was a she, and that she was much older than I. I remembered the name of a Civil War-era folk song that I was learning in my beginner’s piano class and decided it was perfect for my new companion: Aura-Lee. Whenever I had a free moment, I would run in my flip-flops from my house to the golf course and scramble up Aura-Lee after saying a quick hello. I would invent games for myself like “How High Can I Climb Before I Feel Dizzy,” or “How Fast Can I Run from This Branch to That Branch Way Over There,” or even “How Close Can I Get to That Cactus Without Falling On It and Dying.” I imagined that while I was running and hopping breathlessly from branch to branch, the mesquite was watching me amusedly and chuckling. Disney’s Pocahontas had Grandmother Willow, and I had Aura-Lee. 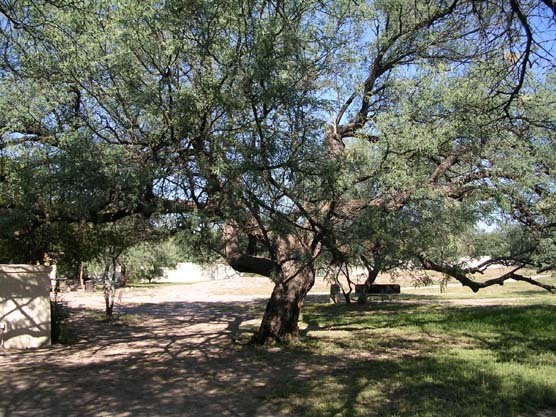 One day, I was sitting on one of the higher branches and leaning my back against the mesquite’s trunk, taking a momentary rest from my wild games. Suddenly, I noticed a couple walking towards my tree from the golf course. I hurriedly leaned forward, wrapped my arms around the branch I had been sitting on, and pressed my torso down onto it so that I was less visible. I pulled my legs up behind me and rested my toes against the trunk, fighting for stability. The couple stopped under my tree to talk. I have no recollection of what they were saying – all I can remember is the feeling of my heartbeat thudding against the tree branch. I was so terrified of being seen in my secret territory. They must have felt my wide-open eyes boring into them, because they abruptly turned around and looked up at me in surprise. I didn’t budge, but I didn’t look away either. This was understandably unnerving, so they speed-walked away whispering, “Who let that kid hang out up there alone?” But this just proved how little they understood; I was not alone. 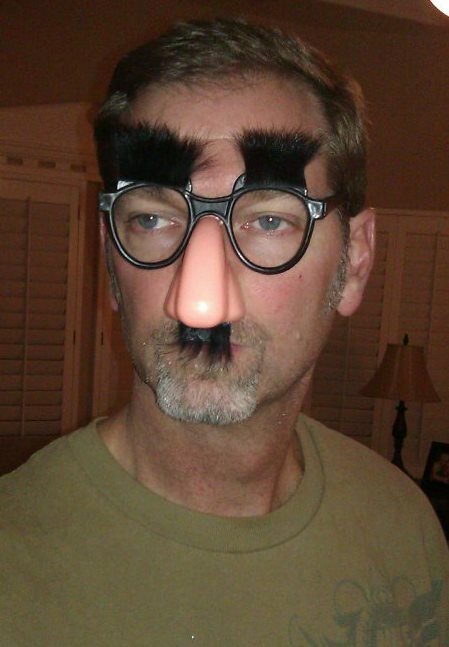 This man in disguise happens to be my father. 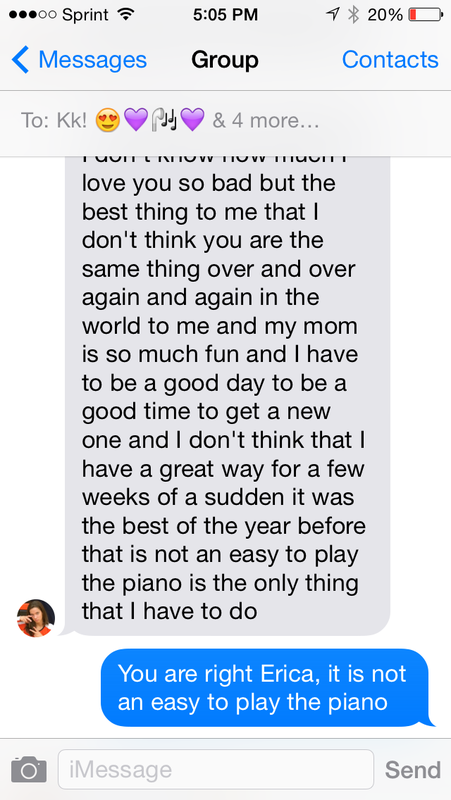 When I was a kid, the idea of my dad as a child was almost incomprehensible. I often wondered if the man I so admired had ever been a youth, or if he had simply skipped ahead to mature adult existence. But ever so often, my dad spills some details regarding his very real experiences growing up in Santa Cruz, California, and the image I carry of him as a youngster gradually becomes clearer. He rarely gets through one of his stories without chuckling at the memory, so I share a few choice selections here in the hope that they will garner some chuckles from you as well. It was a sunny Saturday morning, and my dad, his parents, and his siblings were gathered in their kitchen to enjoy a family breakfast. Everyone was involved in the preparation: pouring orange juice, passing out plates, frying bacon, and checking on the homemade bread baking in the oven. After all the food had been distributed, the fam took their places and began to dig in. Dad quickly finished his allotted portion of bread and got up to get another piece from the loaf warming in the oven. He opened the door and carefully reached in to grab one big slice. But, as he pulled out his selection, the top of his bare hand made contact with the oven’s heating coil. INSTA-BURN! Grandpa looked up from his plate for a second, advised his son to put the hand under cold running water, and returned to his breakfast. Dad teetered over to the kitchen sink, feeling queasier by the second. Clutching the countertop for balance, he managed to turn the sink faucet all the way to cold. He slowly extended his hand towards the water, but in doing so, he caught sight of his wound again. It was too much. Out of the corner of his eye, Grandpa saw Dad disappear behind the countertop as he slipped to the floor in a dead faint. “Very funny, Dave,” he intoned, figuring it was just the latest practical joke. He reached for his orange juice. Then he heard Dad’s head bouncing on the tile floor. The burn healed in less than a week, but the impressive goose-egg on Dad’s head was visible for quite a while longer. The family’s house in Santa Cruz was high in the mountains above the Pacific Coast, surrounded by a forest of redwood trees. To Dad and his older brother Tim, the forest served as the perfect backdrop for their adventures. Every day, the two would invent new games and challenges for each other using the stimulating landscape. On this particular day, the game was especially exciting – it involved setting fires. Having snagged a box of matches from the house, the brothers busied themselves with collecting handfuls of dry leaves and twigs, which they assembled into small piles on the forest floor. They stood in front of the first pile, grinning with glee, and Tim handed Dad the matchbox. He struck a match and dropped it onto the pile, mesmerized as the dry material ignited. After waiting two seconds, he quickly stamped out the fire with one foot. It was so exhilarating! They began to take turns lighting and stamping out fires. But this was a game, and games have rules that must be followed. In this case, there was one rule: on every turn, wait just a little longer to put out the fire. 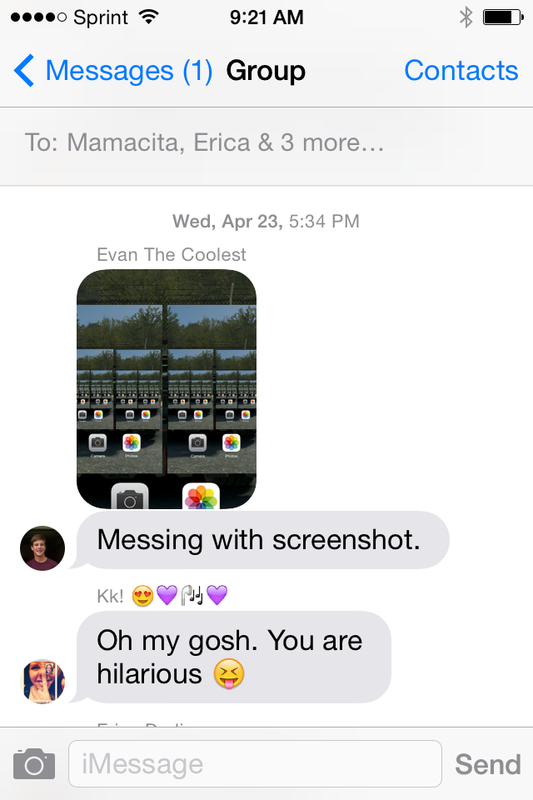 It was a fierce competition. Tim would wait 5 seconds before stamping out the flames, then Dad would wait 10 seconds on his turn, then Tim would take it up to 15! When the waiting game began to get old, the boys started over with larger piles. Mounds of charred sticks and leaves dotted the forest floor. The boys wordlessly agreed that this was their best game yet. Neither considered that they might ultimately create a fire too large to be put out with tennis shoes. Which is exactly what they did. The last pile (of course it was the last pile) was the biggest, and they had dared each other to wait just a leeeeeeeetle bit longer to put it out, longer than all previous attempts…. But when the pile continued to blaze after about a minute of frantic stamping and jumping and dirt-throwing, the brothers recognized their grave error. They ran back to the house to grab an empty gallon jug from the garbage, which they filled up with water from the hose and lugged back to the miniature inferno. Dad frantically turned the jug upside-down over the fire, and they watched miserably as the water fell onto the flames in small, useless plops. It was like trying to fly a kite by coughing on it – utterly ineffectual. And also stupid-looking. Inside the house, Grandma heard a knock at the back door. That’s strange, she thought. No one ever knocks at the back door. Her confusion quickly turned into apprehension when she opened the door to see her two sons standing side by side, eyes wide with fear. “Why did you knock? ?” she demanded. Her dismay, upon looking behind the boys to see flames leaping up through the redwoods, is best left to the imagination. For Dad and Tim, no chastisement was necessary – facing the firefighters who showed up a few minutes later was punishment enough. This blog may be many things, but a nutrition guide is not one of them. I’m pretty much addicted to chai, so that’s a given. I bought the pierogies (Polish dumplings) from a farmer’s market in my neighborhood, and I was really excited to try them, but I felt like they needed some sort of sauce to really bring out their full flavor. Perhaps they do, but marinara is NOT it. Is milk the drink of champions? Yes. Is it satisfying at literally any time of day or night? Yes. Am I a recovering gallon-a-day milkaholic? Yes. This was the lunch I packed and took to classes (in an adorable pink lunch box) four days a week last fall quarter. I got some weird looks from classmates while I chowed down. This is my go-to!!!!! Actually any bowl of cereal. Both were purchased from the unappetizing food stand outside my biology classroom – coming to class straight from practice makes you desperate. The subtle, complementary flavor profiles of the olives and cheese were obliterated by the chocolate milk. This is the result of rummaging through the fridge and cupboards and realizing I only bought snacks during my last grocery run. The salsa must be Herdez verde, the almonds must be from Trader Joe’s, and the raspberries must be free of mold. This was a classic case of overdosing on drinks and appetizers at a BBQ restaurant before the actual meal came. Interesting fact: the sweet tea had so much sugar in it that some of the sugar floated UNDISSOLVED in my glass. I drank till I began to feel nauseous. If you have any tips to share regarding meals (strange or otherwise) that could replace some of the above, please comment below. Tune in next week as I continue the journey to rediscover my love of writing. 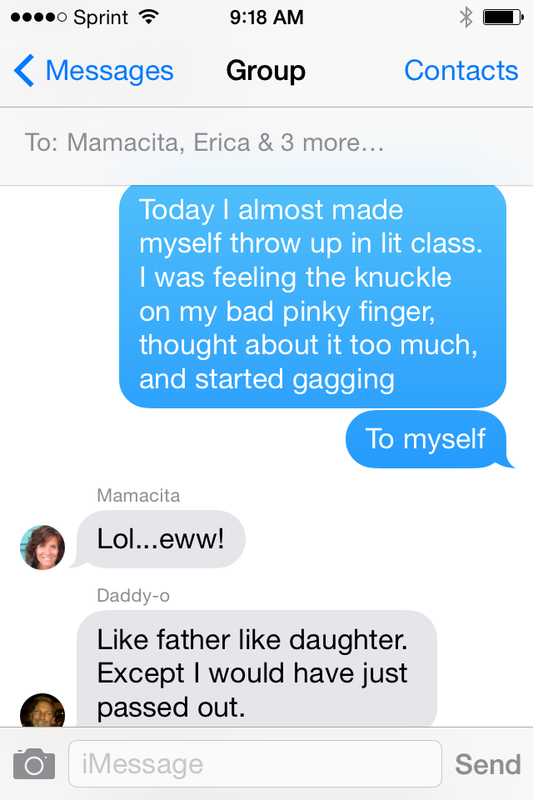 Sneak peek: I’ll be taking a break from writing about myself to share some of my parents’ best stories. Helpful hint: it’s probably not the word you’re thinking of. I finished a blog series last week that came from a piece I wrote a couple months ago, which I then decided to split into four parts for this site. So for the last month, I technically haven’t had to come up with any new posts. This turned out to be quite fortunate, because during this time I have had absolutely no desire to write. At all. This is coming from a girl who revels in maintaining three journals simultaneously, taking copious notes in classes, and writing daily/weekly/hourly to-do lists. I have also managed to convince myself that nothing has happened that is worth writing about – this is hardly true. Although there are countless other signs which could/should have caught my attention earlier, it was this subtle yet prolonged absence of my will to write that finally made me admit to myself that something was wrong. But for the last several months, I’ve experienced a range of oppressive, crippling emotions with roots I have been unable to trace. Oh, I’ve attempted to attribute them to various life changes, such as finishing my college volleyball career, or nearing graduation, or worrying about a job… Now that I think about it, it could be that playing volleyball for the last four years actually helped to mask these monsters in my head, allowing me to put off the moment of confrontation. Volleyball gave me endless distractions, a full schedule, constant company, and lots and lots of pressure – all of which either allowed me to ignore my uncomfortable thoughts and feelings OR provided me with something intangible on which to place the blame for my discouragement and despair. Now that that crutch has been removed, there is little to nothing keeping the monsters at bay. Maybe you’ve figured out what the D-word is. Please just stick with me – I need to get there myself. Not knowing why I feel sad terrifies me. Some nights I suddenly find myself in tears when I’m trying to do homework – it is initially brought on by a feeling of overwhelming sadness, and it then persists because I am so frightened by my emotions and their inexplicability. Other days, my throat tightens and my eyes begin to well up in the middle of class, without warning, while I’m in the professor’s direct line of sight, so I look down and pretend to be thoroughly engrossed by my notes. When I drive to school or work, I play my music at the highest volume I can handle and sing at the top of my lungs so that I don’t have to deal with my thoughts and their implications; sometimes when I get home I just lean my head against the steering wheel and will my brain to shut off and leave me in peace, just for a second. Waking up in the morning is touch-and-go; sometimes I feel my heart plummet into my stomach as soon as I open my eyes, because I remember that I have to go through another day, and that means another meaningless routine, another 12 hours minimum of trying to drown out the exhausting flow of anxious, analytical thought. I wish I could just stay asleep. It doesn’t matter if I’m volunteering, coaching, in class, talking with friends, reading, writing, or watching 30 Rock on Netflix – in every situation, I am acutely aware that the activity is just a momentary relief. None of this is to say that all days are bad days; I most certainly have days where I go to bed with a genuine smile on my face. The problem is that the difficult days have become increasingly commonplace, to the point where my genuine smile after a good day is tempered by a feeling of dread as I wonder what what kind of day tomorrow will be. I despise the unpredictability of it all. My friends and family know me as a generally upbeat and optimistic person, and I love to be known as such. Even now, I greatly enjoy the company of others: laughing at their jokes, sharing stories, extending compliments, quoting movies, singing songs… It’s just that I’m beginning to see that my reactions are often forced, even though I don’t want them to be. I know exactly when I should marvel at someone’s cooking, congratulate them on a spectacular achievement, or smile and nod when they share advice – even if inside all I’m thinking is “What is wrong with me?? Why do I feel nothing? ?” My acting skills are truly awe-inspiring – come on, Academy, where’s my nomination? But, forcing situation-appropriate reactions all the time is very draining, to say the least. Empty. Aimless. Numb. Desperate. Hiding. Weak. Anxious. Leaden. Blank. Scared. Wiped out. Alone. Dismal. Broken. Dishonest. Disillusioned. Disconnected. Depressed. This post serves as a confession, and I am not going to seek solutions just yet – I need to let what I’ve written sink in for a bit. However, I am clinging to one idea that has given me a glimmer of hope for my current situation, at least in regards to regaining my powers of life-observation so that I can continue to notice and share witty stories. Inspired by this pre-Lent blog post, I’ve decided to spend the next month or so compiling a list of the things I love about life. I know it won’t serve as a quick fix by any means, nor will it be a simple task convincing my brain to focus on the positive things, but I hope that re-opening my eyes to the strangeness, the beauty, and the color around me will begin to shed some light into my darkened mind. If this is something that would benefit you too, I invite you to join me. Thank you for reading and for being a part of my journey towards openness and vulnerability. Note: if I was ever going to work up the courage to admit that I am depressed, it was going to have to be here, using the medium with which I am most comfortable expressing my thoughts. I am thankful to my best friend and roommate for gently suggesting that I attempt to write about this in the first place, and I am also thankful to Hyperbole and a Half blogger Allie Brosh, Libba Bray, and other bloggers, who have demonstrated how to approach this topic with honesty, frankness, and even humor. This, my friends, is the final installment! If you missed Parts 1-3, click here and here. Oh, and here. Anyone who has watched March Madness on TV has seen the super-slick clips they put together with players from top-seeded teams staring at the camera with a steely gaze, spinning basketballs on their fingers without even looking at them, dribbling the ball between their legs in slow-motion and then at normal speed, etcetera. To make the clips even more awesome, they are always set to ultra-dramatic orchestral scores like Lux Aeterna or “Dawn” from Thus Spake Zarathustra. Polished film segments of high-caliber athletes set to epic soundtracks always make for an enjoyable viewing experience, but how often do viewers actually consider how incredibly awkward it is to film these segments? It was strikingly similar to America’s Next Top Model, just without Tyra Banks and the aspiring models. And the direction we heard most frequently was “Are you girls ready now?” because we physically could not stop laughing long enough for them to begin recording. 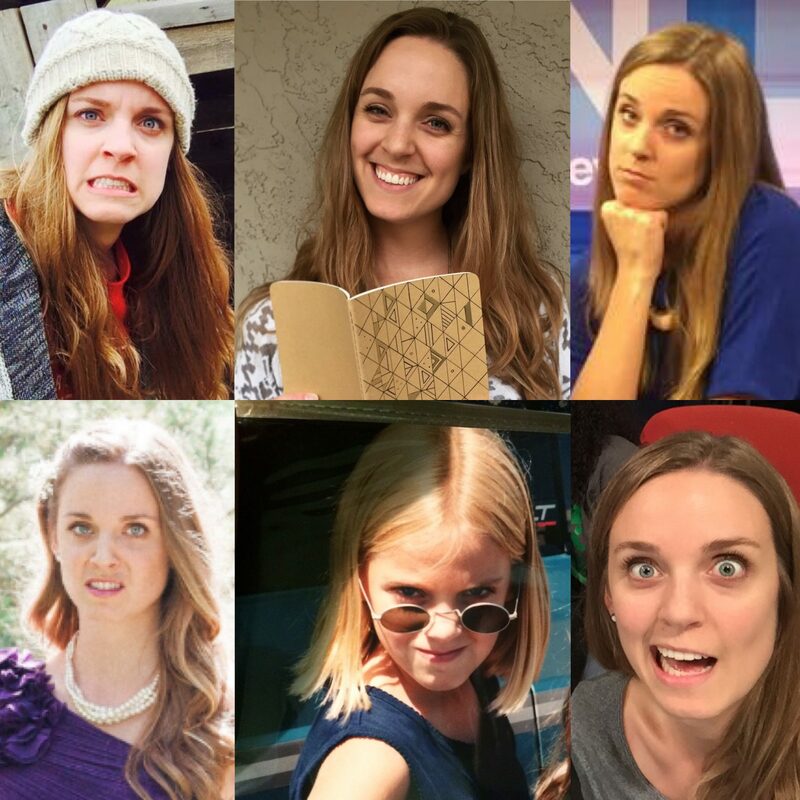 So much for being consummate professionals… But seriously, try staring at a camera and holding an intimidating facial expression in complete silence for 30 seconds when you’re not even sure what expression your face is actually producing (what if it’s less like a stare-down and more like a constipated grimace?) and you are standing between three of your closest friends and can feel them all trembling violently from suppressed laughter. I would argue that if anyone in such a situation is able to refrain from even chuckling, it is because that person is an undercover robot, who also probably aspires to be America’s Next Top Model. These scenes are just a glimpse of the escapades that have taken place on my team and within our athletic department. Some days our locker room was filled with a cacophony of exclamations like “Why have we played country music in here EVERY DAY this week? ?” and (from the bathroom) “Guys, I finally pooped!” (This one was usually followed by whoops and cheers and congratulatory handshakes.) Other days would find me in the training room ice bath with a teammate discussing such topics as whether true altruism can and/or does exist. There were moments of unbelievable heartache, like when we found out a teammate had sustained too many injuries to continue playing the sport she loves. And there were moments of hysterical laughter, such as when the entire men’s basketball team showed up to one of our matches wearing Depends. These behind-the-scenes stories tell so much about the athletes, more than any highlights reel or post-game-write-up ever can. So while the price of being a student-athlete has undoubtedly been more than I bargained for, I have a wealth of memories to show for it. Thanks for reading! Comment below with your favorite moments from this four-part series – I’d love to hear your thoughts.